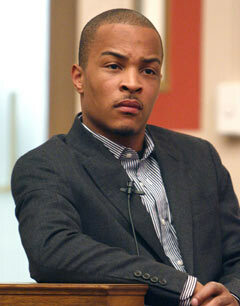 Early on Wednesday morning, hip-hop superstar and actor T.I. was released from prison. The rapper was in an Arkansas federal prison for ten months for violating parole. He still has one more month to serve, which is expected to be in a half-way house. Back in 2009, the rapper spent nearly a year in jail on gun charges when he illegally tried to purchase machine guns and silencers in Atlanta, Georgia. T.I. violated the parole when he and his wife were stopped on Sunset Boulevard while driving in Beverly Hills, California one year ago. The two had drugs in the car. While now a free man, many are wondering what T.I. will do next. Prior to his last arrest, the rapper was a strong activist for being a good citizen and being against violence and drugs. He even released a track, “Get Back Up,” with Chris Brown talking about his getting redemption and proving himself to be a good person to his family, friends, and fans. The upcoming actions of T.I. are going to be closely watched as people want to see the rapper reestablish himself as an artist, father, and husband.